THE SHEETS IN THIS DOCUMENT GIVE EXAMPLES OF ACTIVITIES WHICH CAN BE UNDERTAKEN AS PART OF THE UEA AWARD IN THE VARIOUS AWARD CATEGORIES. PLEASE NOTE THAT THIS ISN'T AN EXHAUSTIVE LIST. Please e-mail award@uea.ac.uk if you need advice about whether you can submit a particular activity which is not in this document. Alternatively, you can call 01603 591032 to speak to a member of the UEA Award team. Select the different tabs above to browse the four categories of activities within the UEA Award. If you're looking to find a specific activity within a category, choose the sheet relevant for the category, press Ctrl + F (⌘ + F on a Mac) and type the activity you'd like to find (see Figure 1). Figure 1: Using the find function on the Academic activity. As you type, your search term will be highlighted everywhere it appears in the currently active category sheet. If multiple results are found, you can jump to the next one by pressing the down arrow in the find bar, or by pressing Enter. Pressing Shift + Enter, or clicking the up arrow, will take you to the previous result (see Figure 2). 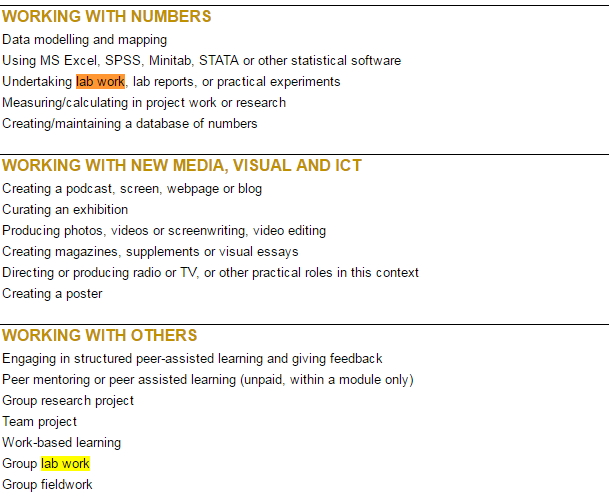 Figure 2: Highlighted activities using the find function. ACADEMIC ACTIVITIES SHOULD BE ASSESSED AS PART OF A MODULE AND DEMONSTRATE DEVELOPMENT IN TWO OR MORE AWARD ATTRIBUTES. * Volunteering is any activity where you give your time for free to a non-profit organisation, helping others, animals or the environment. PLEASE NOTE that these should be non-campus based volunteering roles. Campus volunteering roles should be submitted in Campus and Personal. ***These should be paid roles. If unpaid, then the role should be submitted in Campus and Personal. ***These are opportunities we have developed with employers. Employers will be familiar with the Award, and the opportunities will identify the attributes you are likely to develop. THESE ARE UNPAID POSITIONS ONLY. PAID POSITIONS, EVEN IF BASED ON CAMPUS, SHOULD BE SUBMITTED IN THE WORK-RELATED CATEGORY. Develop the key skills and knowledge needed to build a successful career.